Pack of 10 replacement absorbent mats for the medium SpillTectorÂ®. Packs of 10 replacement absorbent mats for the mediumSpillTector®. Put SpillTector® under small plant, machinery and tanks to trap and absorb oil and fuel leaks without any interruption to the job. Oil and fuel leaks are trapped in a unique sorbent laminate while clean rainwater is allowed to run away, allowing work to continue without harm to the environment. SpillTectorSpillTector® fits under a wide range of plant and machinery to trap oil and fuel leaks. Clean rainwater simply won’t be absorbed and is safely channelled away enabling SpillTector® to continue working even in bad weather. Meanwhile the ground underneath stays protected from oil and fuel leaks, eliminating the need to spend time and money on ground remediation. When SpillTectorSpillTector® oil sorbent mat becomes saturated simply replace it with a new one to maintain 100% efficiency. 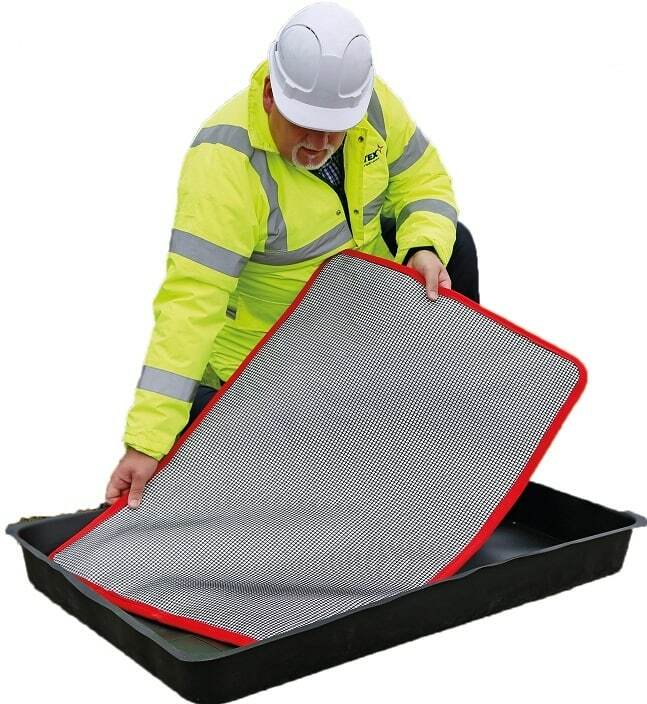 Product Application: This product can be used to contain and absorb oil, fuel, diesel and petrol leaks, whilst channeling away clean rain water. Customer Suitability: Ideal for use on construction sites, farm yards or any external area where machinery is temporarily sited.